Have you been looking for new, fun and bold ways to reach a large audience with your business? Are you ready to put your brand forward and let that speak for your services? If that’s the case, SpeedPro Imaging Richmond West has the answer for you! 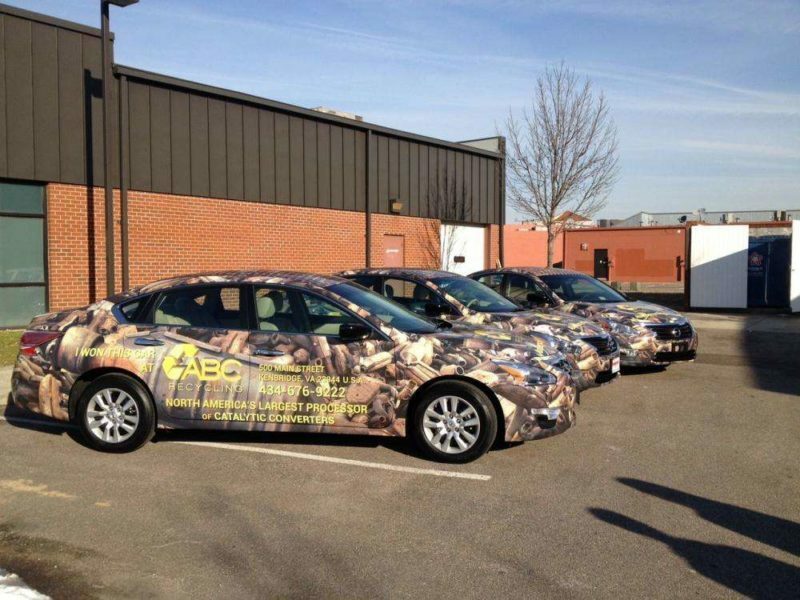 Welcome to the world of vehicle advertising in the form of custom vehicle wraps. These designs allow you to brand your vehicle in however much coverage you prefer to fully reach your audience. No more calling people and being hung up on or posting flyers on community boards only to be ignored. Now you can place yourself in everyday traffic and find hundreds of people interested in your design as a result. If you’re ready to give your car or truck a makeover to promote your business, SpeedPro Imaging Richmond West can help. We extend our services to companies and organizations located in the Richmond, Charlottesville and Williamsburg areas. Reach out to us today, and we’ll get branding! During our consultation phase, our team will sit down to discuss your business and branding needs. We’ll be able to focus on what your brand is and how we can best represent that visually so that those driving or passing by your car will notice your design and be able to efficiently read it. Identifying the best wrap for your will ensure the number of impressions you receive on your design far exceeds your current outreach. 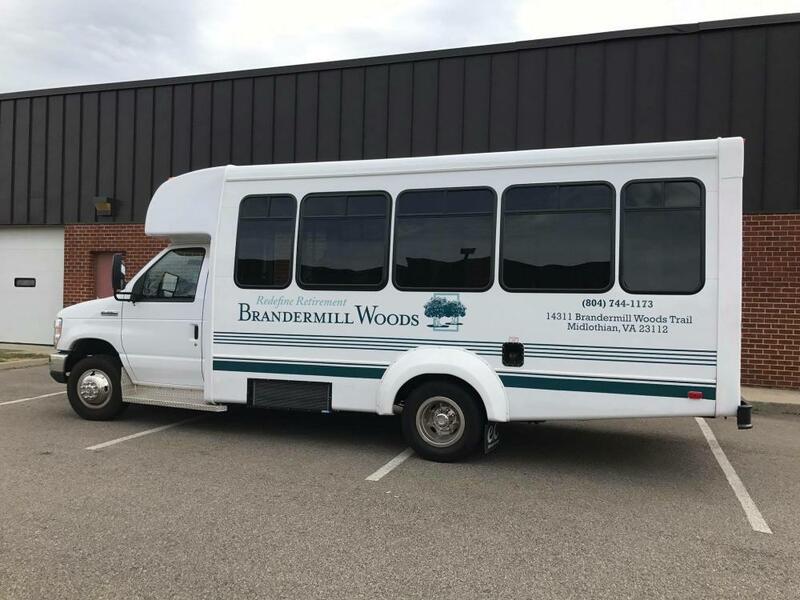 By the time you’ve taken a trip or two, you’ll have countless customers talking about your beautiful vehicle advertising. Fleet wraps are ideal for trucking and van transport companies. If you’re often sending out a group of trucks at once to deliver products or perform service somewhere, you’ll find that it’s more impressive if the vehicles are all designed in a uniform fashion than if they’re plain or mismatched. 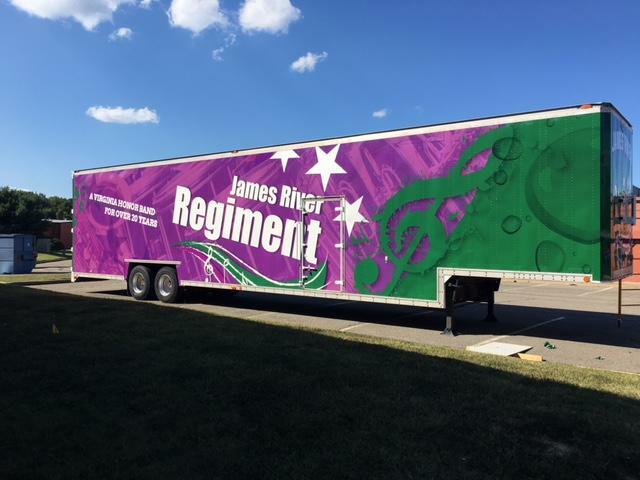 We create wraps that can be rolled on panel by panel to cover the side, back and hood of your trucks or vans. Your next delivery run will be sure to pull some attention from nearby drivers! For standard-sized trucks, cars and SUVs, you’ll want to focus on our two other wrap options. Full vehicle wraps and partial vehicle wraps are actually quite similar — the difference lies in how much coverage you prefer on your car. A full vehicle wrap will cover your car with the most coverage, on your windows, side doors, roof, hood and back bumper. A partial vehicle wrap will take segments of your car to highlight and brand, such as only your hood and side doors or only your windows. Deciding between these two options may seem difficult, and that’s why our team is ready to help. We have the marketing and business experience to know how best to advertise your vehicle to see results. Whether you’re a first-time business owner or an experienced organization, our team can fit your vehicle with the proper visual solution! 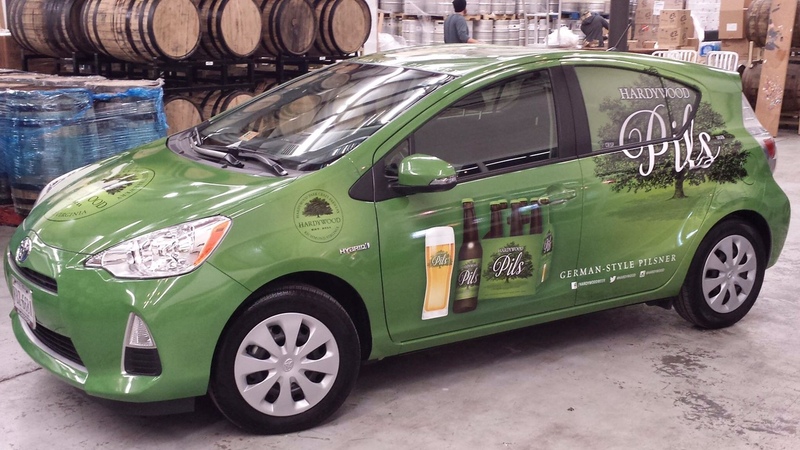 Vehicle advertising is a fun, effective and powerful way to get your brand out and about. If you’re ready to step up your branding game, give us a call! We’ll set you up with a consultation to begin discussing how we can advertise your brand and name to the highest number of people possible!